It’s aliiiiiiive! Despite most people’s prediction that the Department of Labor’s (DOL) new fiduciary rule would be further delayed or completely scrapped under President Trump (see the Presidential Memorandum published on February 3, 2017 ), newly confirmed Labor Secretary Alexander Acosta issued a surprise order for the rule to be implemented as planned on June 9, 2017. Here’s what you need to know. 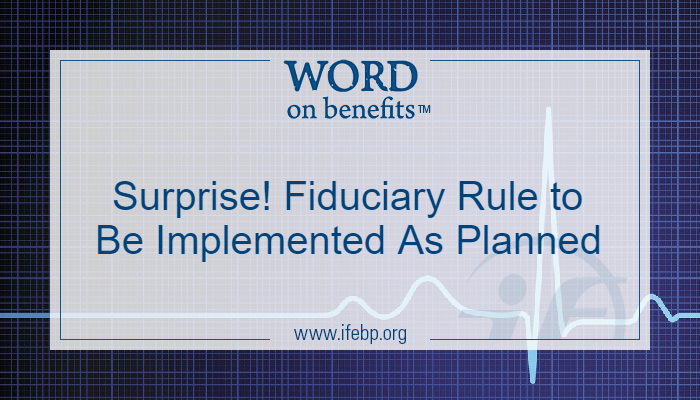 Back in April 2016, the DOL under the Obama administration issued proposed changes to the fiduciary rule as it relates to retirement plans and financial consultants. The purpose of the new rule was to expand the definition of investment advice to better aid individuals navigating the current retirement system. The rule applied to a broad array of retirement plans while also affecting how financial advisors and other consultants operate with these plans and the individuals within those plans. The new fiduciary rule was set to be implemented on April 10, 2017, but was delayed by President Trump and his new administration for 60 days. While many believed this delay would continue indefinitely, Secretary Acosta recently ordered the regulations to be implemented as planned. What plans are affected by this new rule? The new rule applied to defined benefit pension plans, Individual Retirement Accounts (IRAs) and defined contribution plans like 401(k) plans, 403(b) plans, employee stock ownership plans, Simplified Employee Pension plans and simple IRA plans. 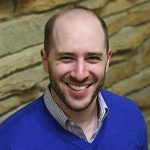 What professionals are affected by the new rule? The new rule applies to any person who provides “investment advice with respect to the assets of a plan or IRA . . . for a fee or other compensation, whether direct or indirect.” While seemingly vague, this new definition would include investment brokers, insurance agents, planners and other professionals who previously were not considered fiduciaries under the old standards. So what new standards are fiduciaries supposed to follow? The new fiduciary rule will go into effect on June 9, 2017, with the transition period ending on January 1, 2018. In the meantime, the DOL has stated that it will review the new fiduciary rule and common exemptions to the rule in an attempt to continue the process started by President Trump in his Presidential Memorandum issued earlier this year. Stay up to date with the Benefits Transition Tracker—The transition to the Trump administration has brought a flurry of announcements and orders that are impacting the benefits industry, leaving many with questions. This resource will help you sort through the changes that have already occurred and those to come.